Ladies' hair boots, waterproof shoes, boots, four seasons female slippery waterproof high tube plastic overshoes. Winter boots, men's low water shoes, English version, fashion boots, male Martin, short kitchen chef, waterproof rubber shoes. German all terrain men's medium and high boots, fashion thunder, fishing boots, water shoes, overshoes, rubber shoes, waterproof shoes. 3539 anti slippery rain boots, rain boots, men's high tube, middle tube, wearproof waterproof soft bottom, summer big code working shoes. Rain boots, men's low tube leisure rain boots, men's low boots, short boots waterproof shoes, fishing shoes, new rubber overshoes. Rain boots, male boots, Martin boots, students, rain and water, fishing shoes, water shoes, low boots, short boots, waterproof and non slip men's shoes. Fashion men's rain boots, men's rain boots, low boots, short waterproof shoes, fishing shoes, new rubber low tube overshoes. 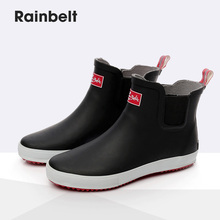 Spring and autumn shoes, men's low boots, short boots, water shoes, rubber shoes, men's shoes, waterproof, anti skid rubber, fashionable fashion car wash.
German all terrain Raytheon men's mid high boots, fishing boots, boots, water shoes, overshoes, rubber shoes, waterproof shoes, skid proof. UNICARE spring and autumn Chelsea, rain boots, men's shoes, short boots, waterproof, antiskid, lightweight rubber boots, short boots and short boots. Kitchens, water shoes, men, summer, low fashion, short tube, rain boots, leisure and anti slip work, rain boots, men's car wash, waterproof rubber shoes. Rain boots, men's low boots, boots, short skid boots, rubber boots, Martin boots, waterproof shoes, men's overshoes, leisure fishing shoes. Rain, fun, spring and summer fishing shoes, waterproof, antiskid shoes, medium tube, water shoes, rubber shoes, boots, outdoor fashion, adult rain boots. 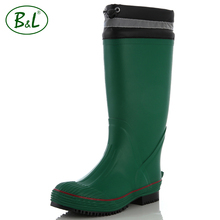 New European fishing shoes, environmental friendly rubber, men's anti slip medium tube export, rain boots, golf boots. 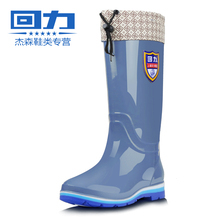 Bai Yu shoes, male short tube food, rain boots plus cotton anti skid high middle tube white working shoes, water boots. Big yards, men's short boots, low boots, rain boots, shallow water shoes, kitchen car wash shoes 4445464748 yards. Outdoor soft, medium tube, rain boots, men's flat bottom boots, light waterproof shoes, overshoes, golf shoes. Men's water shoes, boots, men's shoes, rubber shoes, wading shoes, fast dry skid proof car wash beach shoes. Rain boots, men's low boots, fashion short tube waterproof shoes, boots, men's anti slip rubber shoes, kitchen work shoes, fishing lazy shoes. Rain shoes, men's water shoes, boots, men's money, summer skid proof waterproof shoes, short tube low boots, overshoes, rubber shoes, kitchen work shoes. 3539 rubber boots, fishing boots, men's boots, four seasons labor insurance, high tube waterproof rain boots, big yards. M+ spring and summer fashion fishing boots, leisure boots, water shoes, antiskid shoes, outdoor rubber shoes, adult rain shoes men. Fishermen's shoes, male nails, boots, high boots, high rubber boots, rubber antiskid fishing shoes, angled fishing shoes, fashionable water.